The complications of global climate change are far from being thoroughly understood. We now understand what our actions are doing to the planet, but are still working out the details on the myriad ways in which our actions are disrupting our ecosystems. Above the 60 degree latitude line, temperatures are expected to be raised by 2.5 °C by the middle of the 21st century (Kattsov et al. 2005). It is also projected that the annual mean air temperature will increase by 1 °C by 2020, 2 to 3 °C by 2050, and 4 to 5 °C by 2080 (Huntington & Weller 2005). Our current scientific understand still has a long way to go to truly understand the implications for these projections. Top predators must coordinate their activities with their immediate lower prey on the trophic exchange. A good example of arising mismatch is the winter moth which has a rather unusual life cycle that is highly in tuned with its environment. As an adult, it awakes in the cold hardy month of November, mates, and then crawls back up the oak tree that it was undergoing its metamorphosis in to lay eggs that will then enter a state of diapause (Visser & Holleman 2001). Those eggs will begin developing in February and continue for several months before they hit a crucial point where they will want to hatch. This date of hatching is very important, because if they hatch as little as 5 days too early, they will starve to death (Visser & Holleman 2001). Also, if they hatch two weeks too late, the leaves of the oak tree that they so desperately rely on will have achieved tannin concentrations so high that it will not properly nourish the animals (Visser & Holleman 2001). This may seem like a trivial difference, but it will draw out the animals’ duration of which it is forced to feed and leaves it susceptible to further predation and parasitization risk. In recent years this is exactly what has been observed and the mechanisms relied upon for the phenology of each organism’s respective issues is being altered by a change in the weather pattern and which aspect each responds to (Visser & Holleman 2001). MMH applies virtually exclusively to specialist feeders. Other taxa, e.g. lizards, are more of a generalist type of feeder that is not dependent on any one type of food resource. Instances where either a match or mismatch is proposed always rely on the predator that is highly dependent on a singular type of resource (Visser et al. 1998, Visser & Holleman 2001, Cushing 1990). 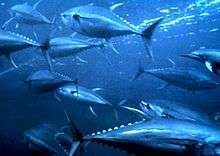 However, even more generalist species suffer from mismatch if their main food source is highly seasonal. The European pied flycatcher for example compensates a lack of caterpillars with flying insects, but this negatively affects offspring condition (Samplonius et al. 2016). Also, the predators and the prey must be relying on different abiotic cues (Durant et al. 2007). 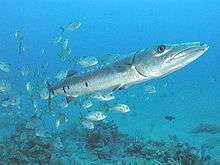 Typical instances also have the predator relying on an annually fixed abiotic cue, and the prey tends to use a cue that varies year to year (see above citations). ↑ Samplonius, Jelmer M; Kappers, Elena F; Brands, Stef; Both, Christiaan (6 June 2016). "Phenological mismatch and ontogenetic diet shifts interactively affect offspring condition in a passerine". Journal of Animal Ecology. doi:10.1111/1365-2656.12554. Retrieved 13 June 2016. Samplonius, J.M., Kappers, E.F., Brands, S., Both, C. (2016). Phenological mismatch and ontogenetic diet shifts interactively affect offspring condition in a passerine. Journal of Animal Ecology, doi:10.1111/1365-2656.12554.